We love the idea of encouraging experienced teachers to attend our conference – and we are willing to pay for it! 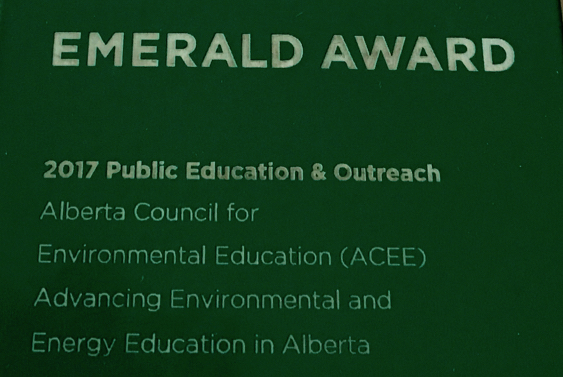 If you have developed expertise in the delivery of environmental or energy education in your classroom, and have some great student outcomes to show for it, please fill out this application. If selected for a bursary, you’ll receive a conference code that allows you to pay just $125 for a conference registration, which includes full conference registration and most meals! We will respond to your application within one week. Successful applicants will select at least one of the following three options, and fill out the brief section below. Yes, I have submitted an application to present a workshop at the conference in which I will share with attendees my learning and experience re environmental and/or outdoor education: tips and tricks I have learned over the years, stories of relevant student outcomes, etc. Think you’ve developed expertise in the delivery of environmental or energy education in your classroom? Have some great student outcomes to show for it? Use bullets and/or web links in the space below to BRIEFLY summarize your years of relevant experience, programs you have designed, courses you have taught, engaging student projects you’ve helped create, and powerful student outcomes you have seen!